Every college gets some of its character from the local host. The Barnwell colleges have a high percentage of Pietenpol builders simply because the host P.F Beck is well-known and respected in the Pietenpol community. Below is a look at some of the Piet builders at Corvair College #31. Above, Don Harper’s Piet on the ground while Bob Lester’s Piet is in the air in the background. Don’s plane is very Close to P.F.’s with the exception of the airfoil, Don’s plane uses the Ribbletts section. Last year they did very carefull back to back flight testing and found little practical difference between the two airfoil sections. 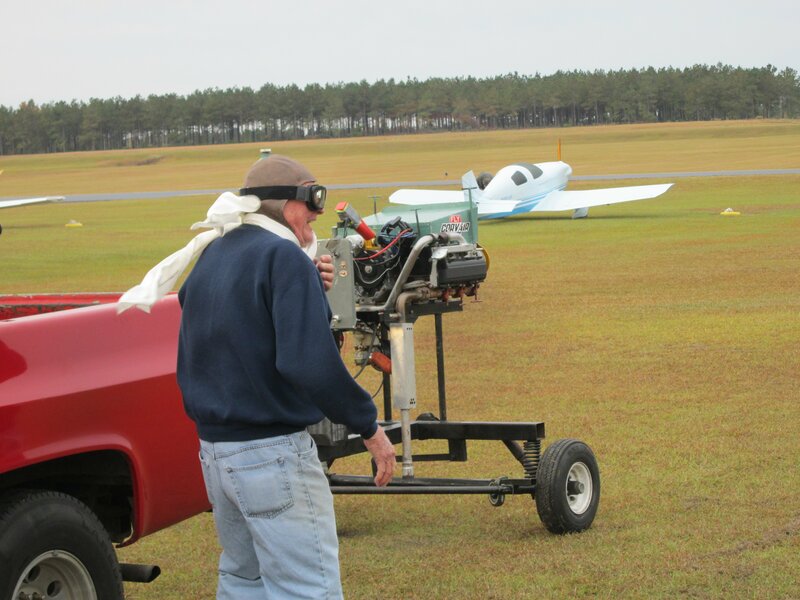 Read more about Don’s plane at this link: New Pietenpol, 2700 Corvair, Don Harper SC. Above, two builders get a look at P.F.’s plane. Piet builder Tim Hansen torques his case. Would you like to know why so much gets done at Colleges? What the mood is like? Try this: the photo above was taken at 2 am. 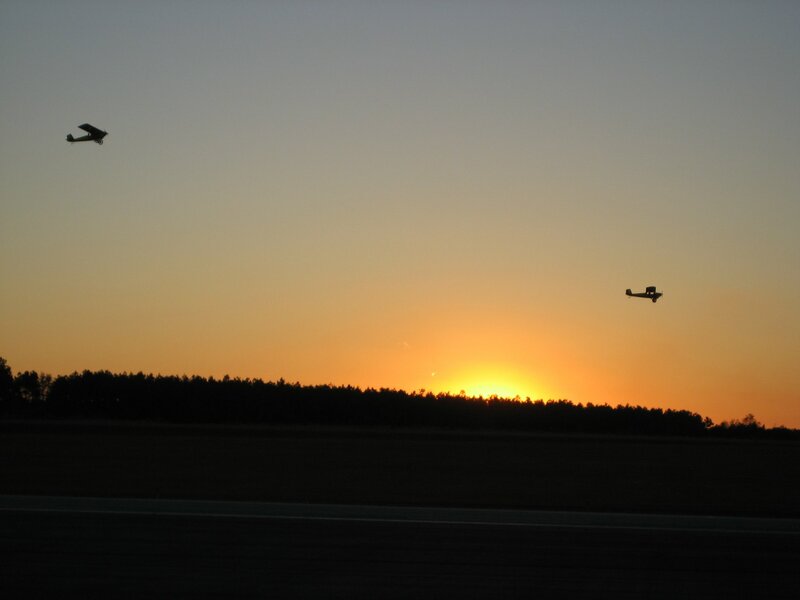 Tim Hansen sent in this photo he calls Hero’s Engine Runs. It was taken of Chuck Cambell as he donned a leather hat and scarf for the first run of his engine. Chuck flew F6F Hellcats in WWII. Yes he is over 90 years old, still in great shape and enjoys learning and building. Above, at a quieter moment, I go over some details of Chuck’s engine with him. On the left is Keith Goff’s blue Piet engine which also got it first run in at the college. Above two Photos, Piet Builder John Francis enjoy’s the first run of his engine. 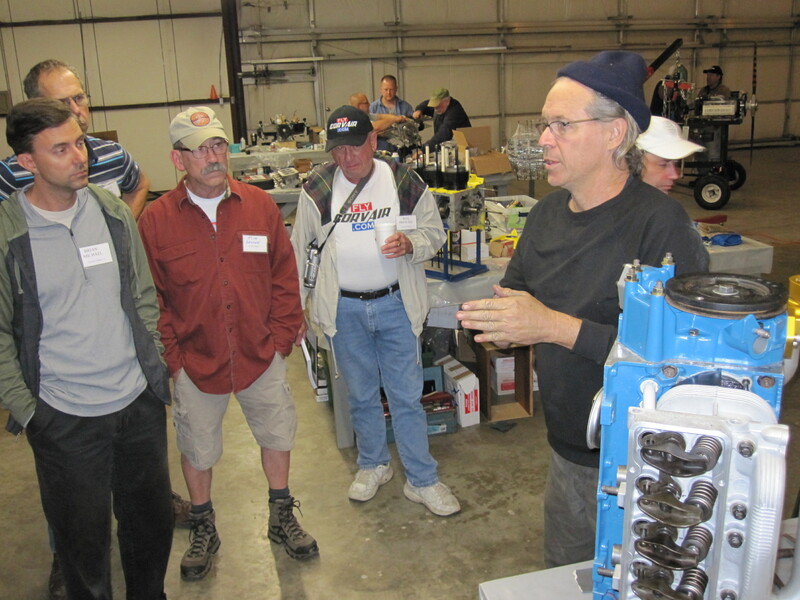 below I speak to builders about setting the valves using John’s engine as an example the night before. Once set during the build, the Corvair’s lifters never need to be adjusted for the life of the engine. The lower photo was taken after 11pm. Long hours at the College pay off with milestones like running your engine the next day. Often people just hearing about the Colleges are thinking of ‘tech seminars’ which are nothing more than a 9-5 power point presentations. Our Colleges are very far from that. 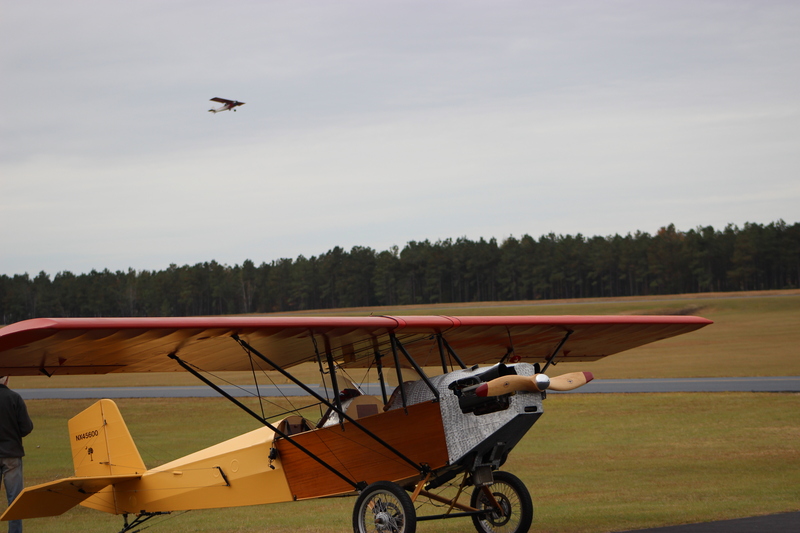 Above, Piet builder from Nebraska Edi Bickford gets a flight in with P.F Beck. Keith Goff enjoys the moment as his engine logs its first run. 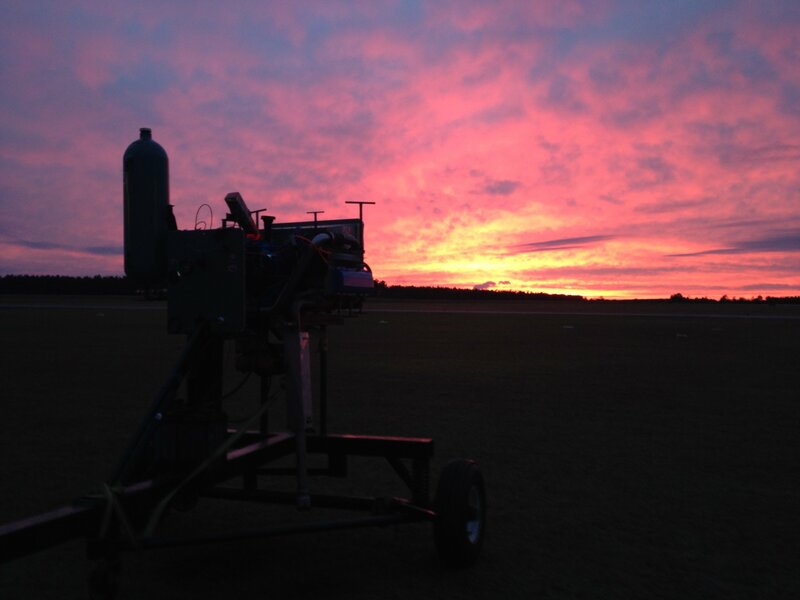 Keith Goff’s engine getting its break in run on Saturday at sunset. 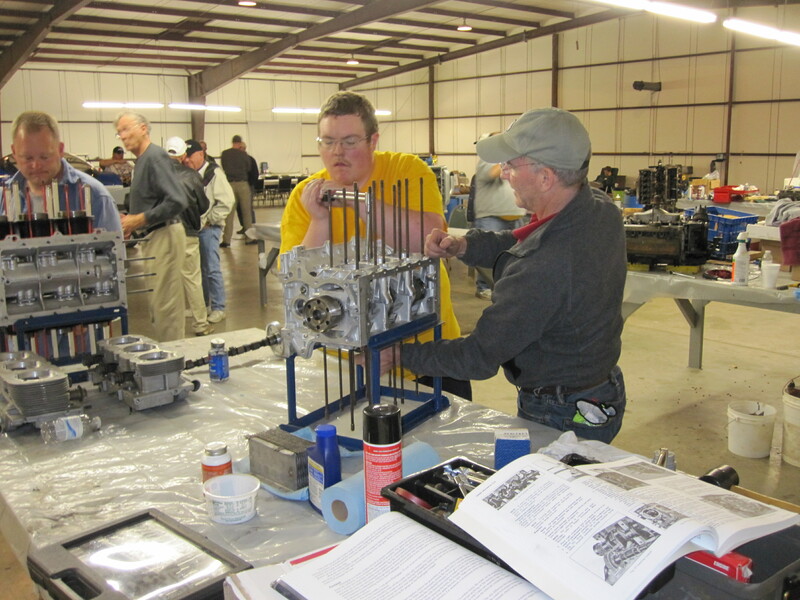 Keith exemplified the spirit of the colleges by also putting a lot of effort into assisting other builders and doing a lot of work getting other engines on and off the stand. He was not alone in this, most builders understand this unspoken ethic central to the college experience. Pietenpol builder Bob Dewenter was on hand for his 5th Barnwell college. 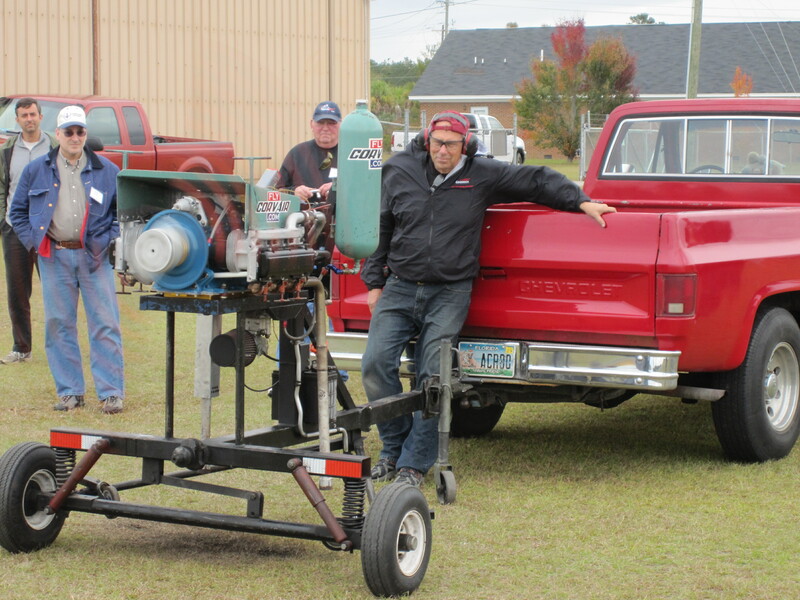 Bob’s engine ran at his second college, but he returns every year for the fun, camaraderie, and to assist others. This is a common thread at colleges, but the spirit is especially strong among Piet builders. There are several popular engine options for a piet builder, but those selecting a Corvair as their powerplant find they are joining an outgoing, tight-knit club that looks out for its members. It has Esprit de Corps that other engine choices do not. 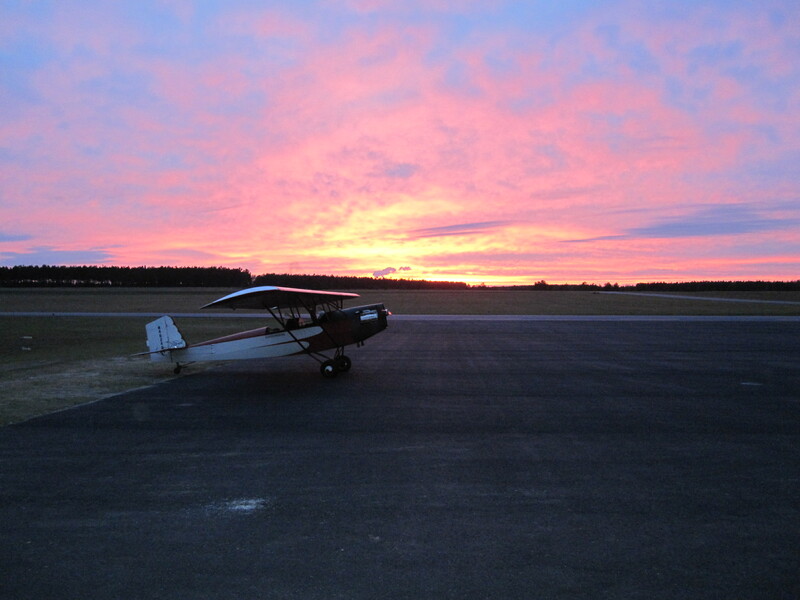 Above, Bob Lester’s Corvair powered Pietenpol sits on the ramp at Barnwell at sunset on Saturday night. Bob had flown it up from Florida that morning. 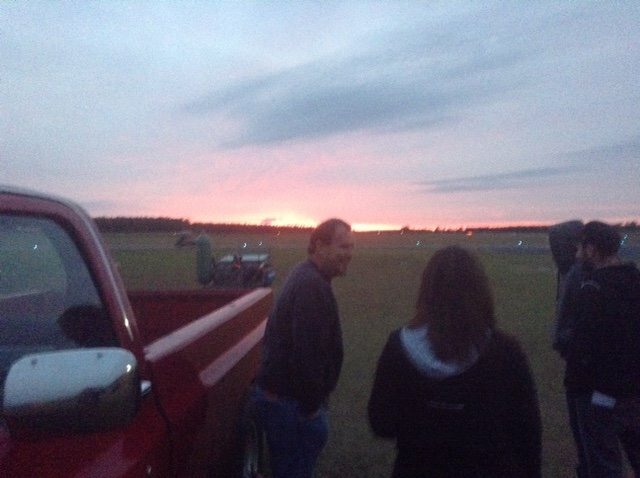 It is the second college the plane has been to, Bob also flew into CC#25 in Leesburg. 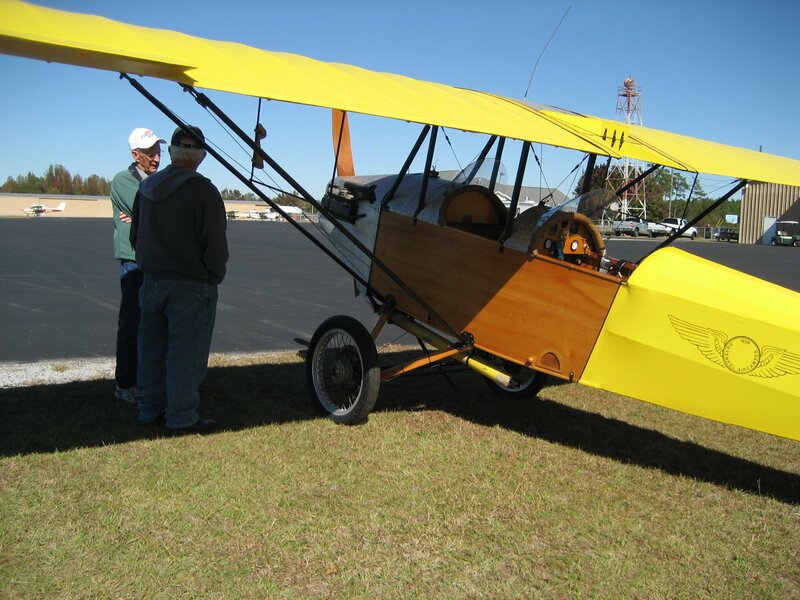 Bob has been flying for 30 years or so, and has owned certified aircraft from a Taylorcraft to a Stinson 108 and experimentals from KRs to his Pietenpol. The son of a WWII combat pilot and a native of South Florida, today Bob lives in North Central Florida at a quiet rural airport. 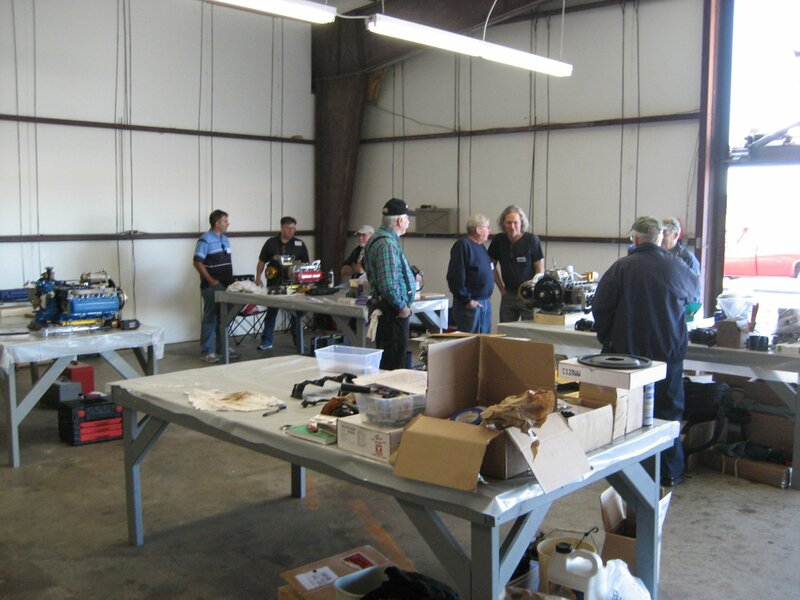 His bachelor’s paradise is a large hangar housing his apartment, his tools, motorcycle, the Stinson and the Pietenpol. 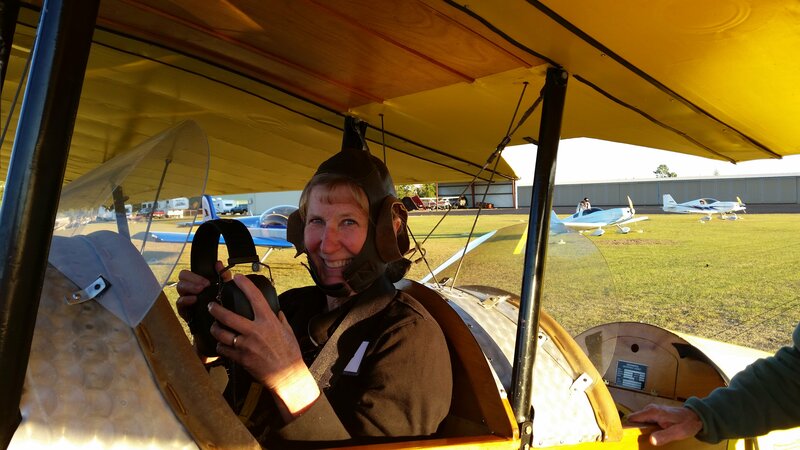 Read more at these links: Pietenpol Power: 100 hp Corvair vs 65 hp Lycoming and New die spring landing gear on a Pietenpol, 10 a.m.-4 p.m.